Informal discussions concerning the formation of an “auxiliary” of volunteers to assist the Canadian Coast Guard had taken place as early as 1969, the impetus to act came about as a result of an accident on the Fraser River, approximately 7:39 P.M.,October 3 rd, 1975. 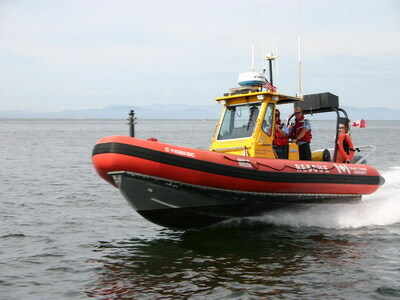 A pleasure boat from Ladner, the Kemah, operated by Ladner resident Mr. George Lentsch, experienced an engine failure in heavy seas between Steveston and Sandheads Light, and went aground on the jetty. Despite rescue efforts by nearby fishing vessels, Mr. Lentsch and one of the passengers (Mrs. Marie Hodge), were swept away, and the Kemah sank. The fishing vessels were able to rescue Mrs. Lentsch and the other passenger (Mr. Joe Hodge), although the fishing vessel Sea Dance was lost in the rescue attempt. Unfortunately the R.C.M.P. vessel was on Vancouver Island for repairs, the Coast Guard hovercraft at the airport was out of service at the time, and no other Coast Guard resources were in a position to assist on a timely basis. In early 1976, Mrs. Lentsch and a number of concerned citizens from the Delta area approached their federal( Attorney General Warren Allmand, and M.P.John Reynolds), provincial (M.L.A. Carl Liden), and municipal representatives (Mayor Tom Goode) as well as the Coast Guard, suggesting that a marine rescue auxiliary, similar to that of the United States Coast Guard Auxiliary be established. A pilot project was initiated, with volunteers from local yacht clubs in Delta (Captain’s Cove, Tsawwassen, and Ladner Yacht Clubs), and Richmond (Airport and Richmond Yacht Clubs), and from Fraser Power Squadron, offering their own vessels, and the Coast Guard providing a 15 foot Avon Inflatable on a trailer. Canadian Coast Guard personnel gave the volunteers some basic search and rescue and first aid training at one of the yacht clubs. Two of the most noteworthy and most frequently tasked Owner/Operator crews and vessels were from the Ladner Yacht Club – the Hi-Mac crewed by Hugh and Ida McRae, and the Eva G crewed by Bill and Eva Couch. The inflatable was for the most part operated out of Point Roberts as it is today, crewed by volunteers from Tsawwassen, led at that time by Don and Del Mather. 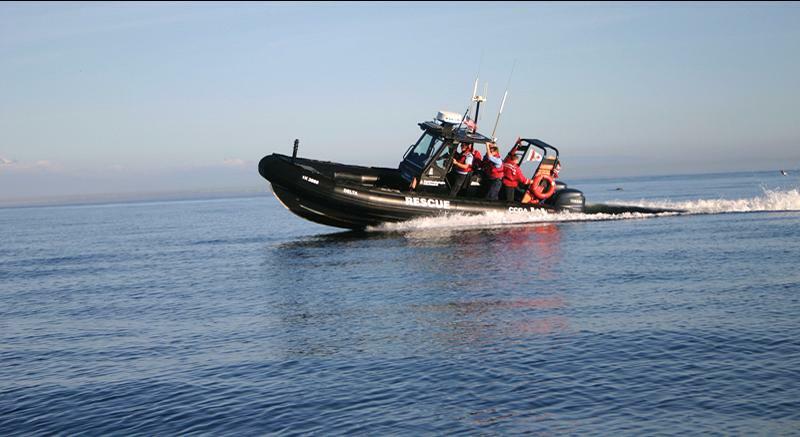 In due course, the inflatable was permanently relocated to Point Roberts to improve its rapid response capability. It has since been replaced by a successively more seaworthy and better-equipped vessels, purchased through community fund raising efforts. This pilot project proved quite successful, and as other local volunteer rescue organisations were formed the Canadian Marine Rescue Auxiliary ( CMRA ) was incorporated in 1978 for the sole purpose of providing an organised volunteer marine search and rescue service. In effect – an auxiliary to the Canadian Coast Guard. Approximately ten years later the Richmond/Delta Unit 08 as it was known at that time underwent a reorganisation with the Delta members continuing as Delta Unit 08, and the Richmond members forming a new unit, Richmond Unit 07. In recognition of the close support role played by all the units in the Canadian Marine Rescue Auxiliary and the dedication of its members, this organisation was formally renamed the Canadian Coast Guard Auxiliary. On May 26, 2012, the organization was rebranded to become the Royal Canadian Marine Search and Rescue (RCM-SAR). For many years Station 8 – Delta’s fast response boats were black in colour. 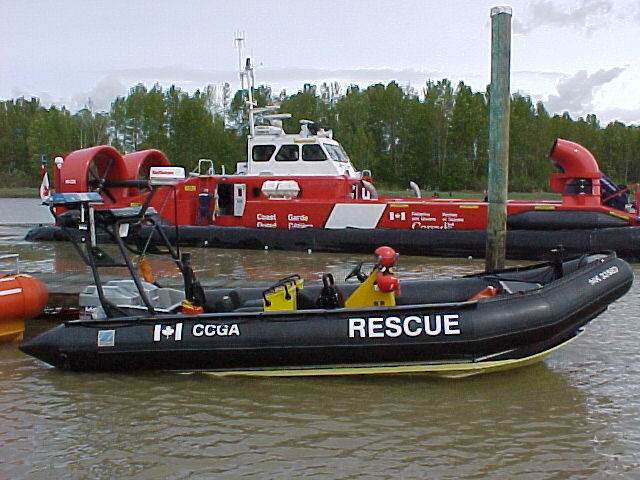 In 2006, amid concerns of increased enforcement along the border, the decision was made to re-colour the boat, The tubes were re-skinned in red, and the top-sides painted yellow – the international Search and Rescue colour scheme.